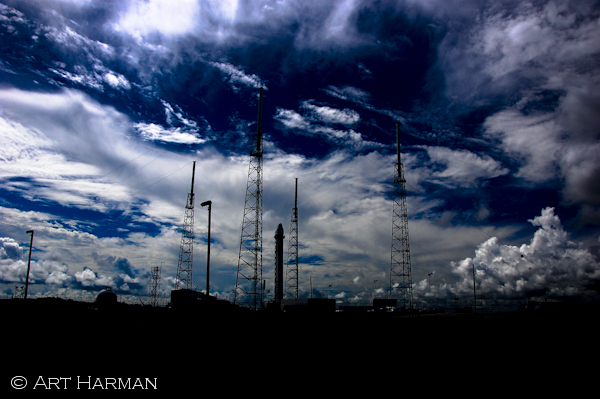 Space X achieved yet another success as it launched its first official Dragon cargo capsule to the International Space Station on October 7. 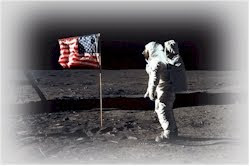 During the launch, one engine failed, which resulted in a secondary payload failing to achieve orbit, however about 1,000 pounds of cargo, including some ice cream for the crew, were delivered successfully. 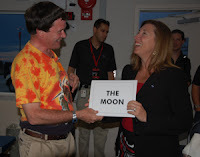 The Director of the Coalition to Save Manned Space Exploration attended the launch; and participated in press conferences, discussions with NASA and Space X officials, and toured the launch pad. Among issues discussed with Space X: They are not planning to park a Dragon on ISS for 200+ days to validate use as a human spacecraft or lifeboat, but may independently place one independently on orbit for such purposes. 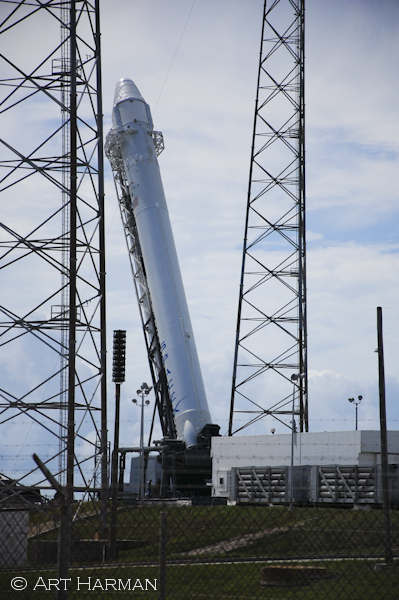 The target for the first human test mission for Dragon is 2015, and remaining work includes the launch escape system and life support. 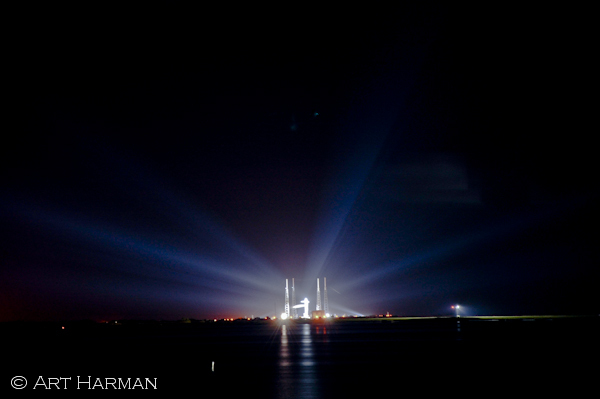 Falcon Heavy is slated for a test launch next year at Vandenberg. The Dragon capsule, filled with equipment and experiments, is scheduled to return on October 28, splashing down in the Pacific Ocean. 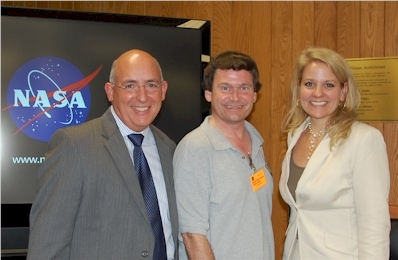 The ability to return equipment and experiments has not been possible since the shuttles were retired, and scientists are eager to analyze many experiments once Dragon is back on earth. 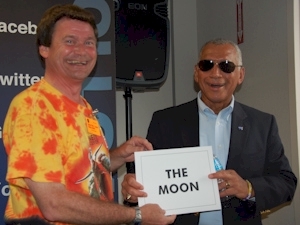 Presenting NASA Administrator Charles Bolden with the Coalition's historic recreation of the signs hung all over NASA during the Apollo program. Download and print yours too--see menu on this page! 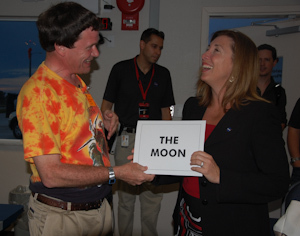 Presenting NASA Deputy Administrator Lori Garver with the Coalition's historic recreation of the signs hung all over NASA during the Apollo program. Download and print yours too--see menu on this page!